After its first appearance back in 2009, the Barkan Counter Balance literally split the public’s opinion. Thanks to its unique and nonstandard design, people either love it or hate it, there is no middle ground, when it comes to taste. We find the new 2017 Barkan Counter Balance Pickup a bit too much, especially since it’s designed to be a pickup truck, but that’s just us. So how Barkan Counter Balance came to be in the first place? Well, you can thank Elad Barkan for that. The Italian Automotive and Industrial designer, graduated from the Design School in Turin, Italy, started working on the vehicle back in 2004. Unfortunately, he lost his first prototype when wildfire swallowed his garage. Nevertheless, the model is looking promising and received a lot of positive feedback. On the outside, it doesn’t look like anything we’ve seen so far. 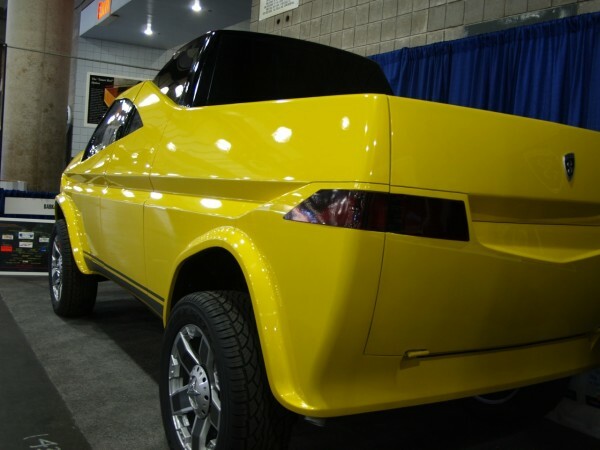 Basically, it looks like an amphibious vehicle, rather than a utility pickup truck. The triangular shaped front is missing the grille, but the reason for than is quite simple – the engine is not beneath the hood. The engine is placed underneath the rear passenger seat. 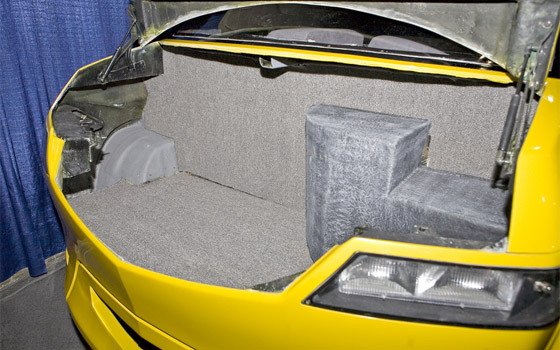 Because of that, the rear seats had to be elevated a bit and that is the main reason for an extension on the roof of the car – so the passengers don’t hit their heads. 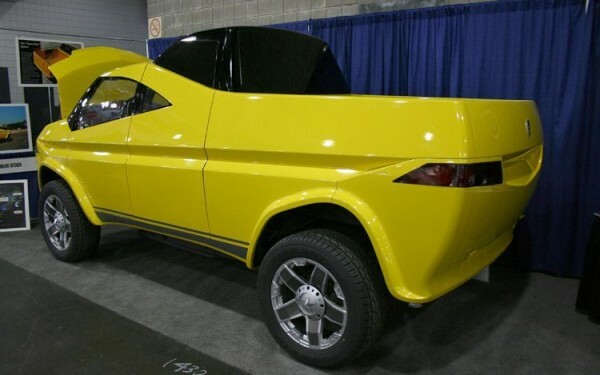 Unfortunately, a move like that may reduce the aerodynamics of the whole car and increase the drag, but at the same time, it made a lot of free cargo space beneath the hood. Because of the engine’s placement, the stability and maneuverability is vastly improved, as stated by the inventor. Headlights and tail lights feature a rather simple design, just a pair of thin rectangles, but they do fit to the overall design. Believe it or not, the 2017 Barkan Counter Balance Pickup does indeed have a cargo bed at the back. Initial length of the bed is 5 feet, but can easily be extended to a maximum length of 7 and a half feet, by lowering the tailgate and raising the integrated panels. The tailgate itself features a double-pivoting hinge system, that enables an upward pivoting for easier loading. Since this is not a standard vehicle, it is hard to predict in what direction the whole idea is moving. The interior is as simple as it gets – just a steering wheel, LCD display and more storage shelves than you’ll ever need. When you see the interior, you really get the whole idea behind the roof extension. 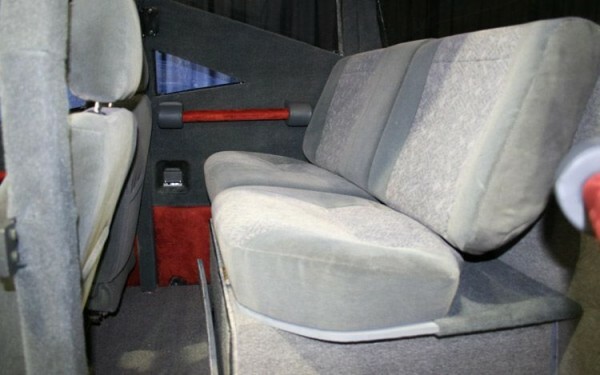 The rear passengers have a great 360-degree panoramic view of the surroundings, which sounds like an amazing experience. 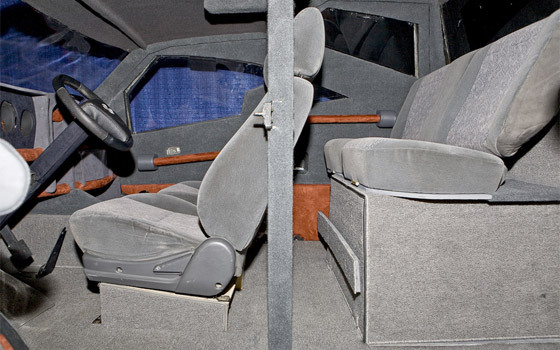 Since the rear seats are mounted directly above the engine, one would think that passengers might not enjoy the view with all that engine noise in the background, but Barkan claims that noise vibration as well as heat insulation are so good, that passengers will be perfectly comfortable. Not much is known or confirmed as far as the engine is concerned. 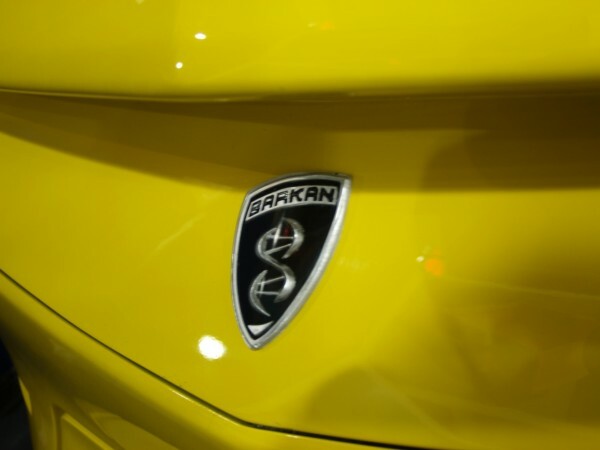 However, Barkan stated that his 2017 Barkan Counter Balance Pickup will be able to fit an alternative fuel drivetrain and that it all depends on driver’s preference, meaning that the fuel could be batteries, propane, biodiesel, etc. The car itself will be based on a modified Chevrolet Tahoe platform and, initially, it will feature a Chevrolet’s V8 engine, but, as stated above, the engine choice will entirely be up to your preference. As far as the prices are concerned, like any other relevant detail, the exact number is still unknown. 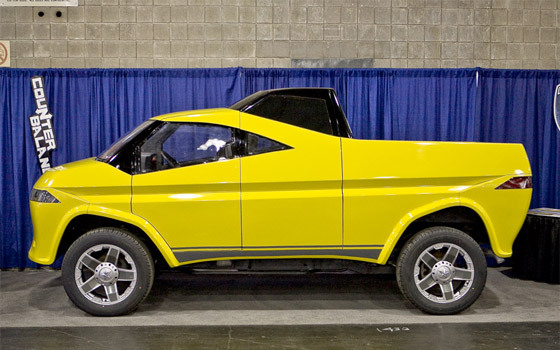 Luckily, 2017 Barkan Counter Balance Pickup gave us a clue, stating that the car may cost as much as a fully loaded Escalate. Even for a price that high, this car may find its way to a proper enthusiast, especially when only 200 initial vehicles will be made for the first production run.